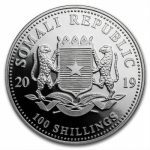 Limited Mintage of a 1000 Coins ! This Silver Somalian African Elephant coin from the African Wildlife Coin series appeals to coin collectors around the world for its depiction of one of the most fascinating animals found in Africa: the elephant. 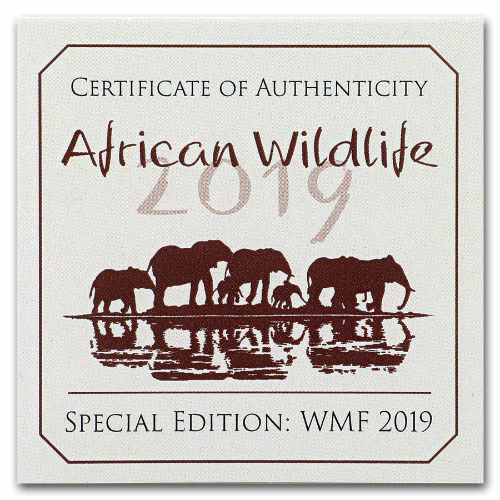 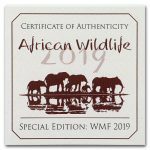 This special edition has the 2019 WMF privy mark. 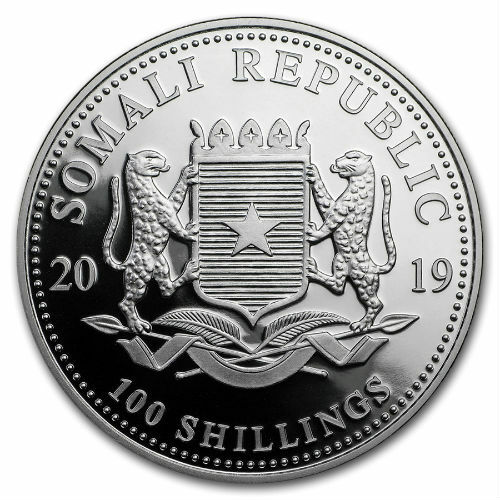 The coin is struck at the Bavarian State Mint in Munich, Germany, these popular Elephant Coins are struck in .9999 fine silver, and are legal tender in Somalia for 100 Shillings. 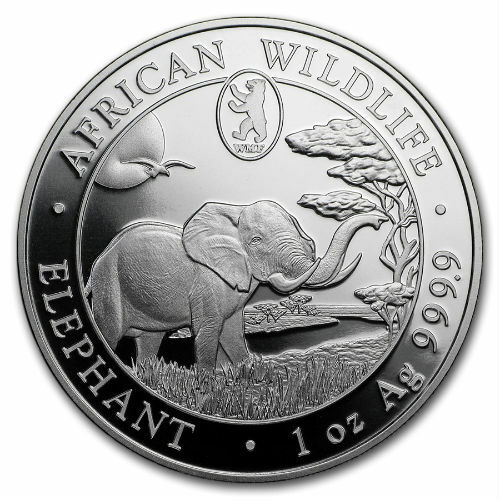 This coin will be limited to a mintage of just 1,000 units! 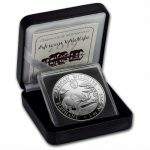 Each coin will come packaged in its own display box with numbered COA.